The Embassy of Italy requires all names for security purposes. Please tell us who will be using the ticket(s) purchased. Type in first and last name(s) of attendees when prompted. Please include your own names, if attending. Please provide camera-ready artwork, photographs, business card or logo and all language you wish included in the advertisement. Please use one of the following formats: PDF, JPEG, EPS, MS Word. No bleeds. Your school's name and contact information will be listed in the Patron Catholic Schools section of the Commemorative Program Book. As a convenience, you may pre-register a credit card on the submission page to charge your purchases at event 2016 Spring Benefit. 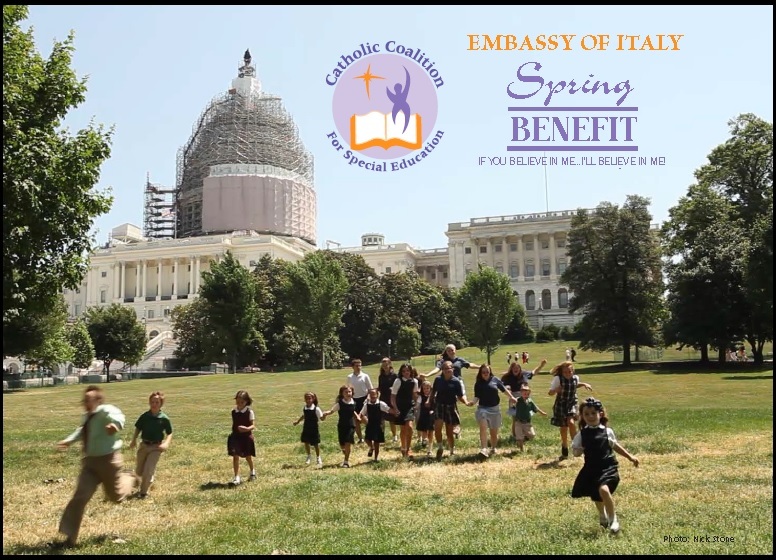 I authorize Catholic Coalition for Special Education to use the credit card entered on the submission page at event 2016 Spring Benefit. Once the transaction has completed successfully, a confirmation receipt will be sent to the email address entered.